Op-ed: The Left in Israel has opportunities to show that it is pro-Zionist, but when it comes to Gaza’s so-called March of Return, it squandered that opportunity. Rather than unting behind Israel and calling this racist and anti-Semitic march out for what it really is, it aligned itself with the Hamas movement and is acting as a mouthpiece for its propaganda. There are moments in which the Zionist left-wing—and this includes Meretz, the New Israel Fund, Peace Now and other groups and people—can prove that it’s not just Left, but also Zionist. Hamas’s “March of Return” is just such a moment. After all, this wasn’t a fight against the occupation. This wasn’t a march for peace. This wasn’t resistance to the settlement enterprise. This was a provocation which is situated somewhere between the desire to annihilate Israel—as the march’s organizers publicly declared—and the crazy shouting of the march’s participants. “Khaybar Khaybar, ya yahud,” which is the Muslim battle cry, from days of old, to slaughter Jews. Not Zionists. Not Israelis. Jews. In such moments, the Zionist left-wing should make it clear: We’re not there. We know this is a provocation. We know this is a march of hate. We know the goal of Hamas and/or the organizers of the march is one and one alone: As many fatalities as possible to embarrass Israel. Any humane and liberal person, any supporter of human rights, anyone who wants peace and reconciliation should come out against this march, its organizers, and the racist and anti-Semitic sentiments leading it. But no. The representatives of the Zionist left-wing failed this test. They have complaints, but only, or mostly, against Israel. 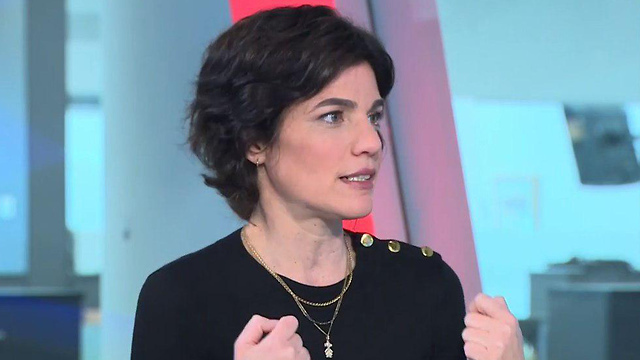 Tamar Zandberg, the chosen leader of the Left, released a statement on “extensive harm done to the Palestinians,” while calling for an inquiry. Not a word about the negative sentiments, the racism, the demand of return, the calls to kill Jews. Nothing. Zandberg is not stupid. She knows that the declared goal was “return” and the practical goal was fatalities. But damn the facts. She has another opportunity to slam Israel, and this is what she’s doing. Statements in the same vein were released by Mickey Gitzin, the executive director of the New Israel Fund (“non-violent activity”), and Yariv Oppenheimer (“What are we, Syria?”), the former leader of Peace Now. Alon Liel, a former Foreign Ministry official who in recent years have been running around the world trying to get foreign government to accept the demands of the Palestinian Authority, have taken it to the next level. He compared what happened in the strip on Friday to the blacks’ protests in South Africa, and mentioned that this is where the apartheid regime’s collapse began. Excuse me? This is Gaza. The occupation has ended. But the person who worked in the service of the Palestinian Authority has stooped to being the mouthpiece for Hamas and the “return” propaganda. He’s already talking with fondness on a “collapse.” There’s no limit. It’s sad because the Zionist left-wing has an important role. It’s supposed to be part of the coalition that would save us from the Right, which is leading us towards the elimination of the Zionist vision by realizing the vision of one big state. But this Left is making every effort to become irrelevant. 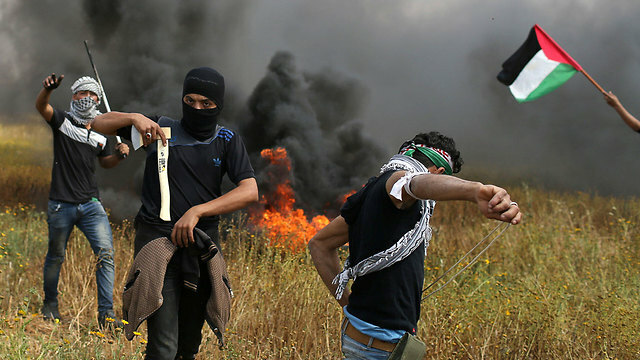 When its responses are at the service of Hamas, when it has nothing to say about the calls to kill Jews, when it remains silent in the face of the cynical use of women and children—then it doesn’t only “earn” the right-wing’s claims, it also neutralizes itself from any ability to fight for a Jewish and democratic state. The Zionist left-wing didn’t shoot itself in the foot. It shot itself in the head. This is wonderful news for the Right. But it’s bad news for Israel.